With Valentine's Day right around the corner, consider one of these best cruises for couples. When was the last time you and your honey escaped the day-to-day monotony to soak up some much needed alone time? 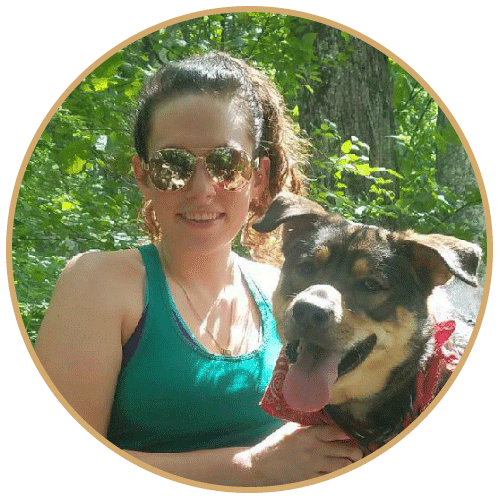 When was the last time you left the kids and pets at home to do that? If it's been awhile for you and your significant other, you may be overdue for a couple's getaway. The ever-looming Valentine's Day presents the perfect opportunity to get out of town with one of the best cruises for couples. We know shopping around for the best vessel can be a bit daunting. 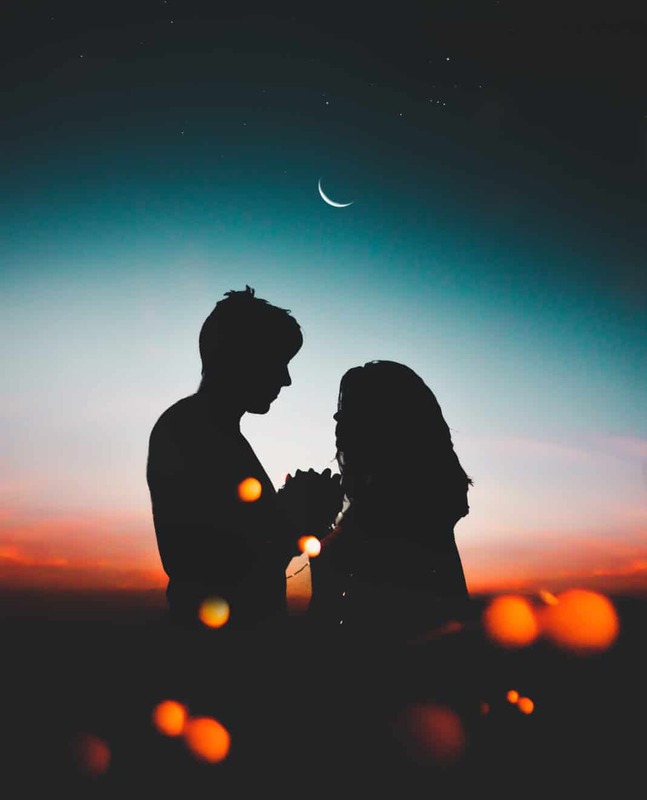 For this reason, we've created your guide to why you should go on a couples cruise, how to choose the best one for you and your partner, and the best ships for your needs. Read on to reignite the flame with your lover! We promise you won't regret it. Don't end up in the doghouse on Valentine's Day. Love is in the air, yet cruises take you across the water. You may be thinking to yourself that you just don't have time to sail off on a world-wind adventure with your favorite person. However, the best cruises for couples offer beneficial opportunities to see new places with your beau at your side. Here are a few reasons you may want to consider a couples' cruise. The best cruises for couples give you the chance to step away from work, home, kids, pets, extracurricular activities, and responsibility in general to focus on what truly matters to you. Seeing new places while participating in exhilarating excursions and activities presents the perfect bonding opportunity. The best cruises for couples eliminate the planning and chaos associated with other vacations. You and your honey deserve this! With the hustle and bustle of your routine, it can be easy to lose sight of what is most important. The best cruises for couples give you the chance to unwind, reset your relationship, and strengthen your bond. All of these great advantages wait to rekindle your love aboard one of the top Love Boats. It's no secret, taking a cruise is a hefty investment. This is especially true when you multiply the fare cost by two. That being said, this worthwhile purchase needs to be perfect for you, your significant other, and your collective needs. We've created a guide to help you find the best cruise for couples that will appeal to your spontaneous and romantic side. If you're trying to impress the most important person in your life, of course you want to go on one of the best cruises for couples. Yet, with so many ships at your disposal, picking one line to go with can be a bit overwhelming. Here are some questions to ask yourself before you book your trip. 1. Do you have a destination in mind, or are you content to be 'lost' at sea with the one you love? Cruises are like people -- each one is different. While some lines may be destination-based, other may simply be a cruise out to sea with one or two port stops. Knowing which you prefer is extremely important to planning for one of the best cruises for couples. To enumerate, destination-based cruises often include more excursions and overnight stays. However, ocean cruises may be geared towards simply getting away from it all. These are best if you are solely concerned with relaxation over activity. Either way, there are plenty of cruises for couples to accommodate your preferences. 2. To luxury, or not? Perhaps your sweetheart enjoys the taste of fine dining and high-society living. Or maybe you are both more low-key and simply wish to have a romantic escape from the drudgery of winter. Regardless of you and your love-bug's personalities, each of the best cruises for couples features a unique ambiance and crowd. To experience candlelit dinners, spa treatments, and cuddles under the stars, it may be worth it to you to spend a bit extra for the best of the best. However, if you are along for the adventure and only wish for a place to rest your head, good meals, and the company of your significant other, a luxury cruise may not be necessary. Keep in mind that whichever option you choose will greatly influence the price you pay. As we mentioned a bit before, each cruise is unique. Before beginning your search, decide on how you want to spend your days. If you've been working ample overtime in preparation for taking this trip, an action-packed itinerary is probably the last thing you want. However, if you feel that all you do is go to work, eat, sleep, and repeat, maybe an adventure-filled cruise is just what the doctor prescribed. While some cruises focus only on relaxation OR activities, some of the best cruises for couples strike a great balance between the two. The best cruises for couples are those that allow you to choose when and where you want to get on and off your boat -- if you do at all. Now that you know what you and your partner want and need from your prospective cruise, it's time to get down to the nitty-gritty. Pull up your browser and begin your search! Just be sure to keep each of these facets in mind as you do cross-comparisons of the best cruises for couples. When considering the best cruises for couples, the first and foremost aspect to account for is the atmosphere of the vessel. To explain, some ships appeal to certain demographics. For this reason, these cruises offer corresponding activities, destinations, or rates based on its passengers. If you are in search of a romantic getaway, you will most likely want to find a cruise that either prohibits children all together or requires children to be a certain age (i.e. 16 or older). On the other hand, a cruise line that appeals to retirees celebrating milestone events may not have the pizazz and excitement for which you long. Read reviews and ship specifications to ensure that you find a place to fit in. If you and your sweetheart are couch-potatoes, a lack of a fitness center onboard is probably not going to cause you to lose sleep. Likewise, if your wife is vigilant about her skin care, she may be upset to find that the ship doesn't include a spa. Similarly, if you and your partner enjoy dancing the night away, a lounge, bar, or club with hip music may be a necessity. No matter your interests, we guarantee there is a cruise line for your needs. If you know you are in search of a specific amenity, filter your search results to only include those ships that contain these. Attention to detail now will surely prevent a lovers' quarrel in the middle of the ocean. The price you pay varies greatly based on several factors. If you opted for a luxury cruise, expect to pay much more than your run-of-the-mill ship fares. Additionally, excursions and activities may not be included in the cost you pay up front. Getting off the boat for excursions, shopping, dining, and shows will rack up the bill quicker than you can say, "Check please!". For this reason, it is great to look for affordable all-inclusive options. Often times, these can eliminate the need to leave a tip for housekeeping or to pay for alcoholic beverages. No matter your budget, find a cruise that falls within your means, but also allot extra money for must-try activities. Now that you know what to look for in the best cruises for couples, read up on these top choices. We've included options that have a romantic ambiance, are geared towards couples, and/or have amenities that honeymooners desire. This comfortably romantic, 332-passenger ship is one of the best cruises for couples. The vessel navigates towards remote, yet lush tropical destinations in the South Pacific year-round, meaning that if you aren't ready to book a romantic cruise for Valentine's Day, you can save this one for your anniversary. The suites of the Paul Guaguin lines keep couples in mind with their thoughtful design. Most suites have at least a queen size bed, with very few single accommodations. Certain rooms even have butler service at your beck and call. To couples' delight, it is not uncommon to find rose pedals delicately sprinkled around your room. When you aren't busy smooching your sweetheart, there are several amenities aboard the ship to keep you occupied. For instance, couples love dancing the night away at the La Palette Lounge. Those in search of a more quite, romantic atmosphere may prefer gazing at the stars from the balcony. The food aboard the Paul Gauguin Cruise line is one of a kind! The main restaurant, L'Etoile, serves up a French-Polynesian fusion. Additionally, there are two more casual venues where diners can eat indoor or outdoor. We love that your fares are extremely inclusive. That is to say that if you want a cocktail or other beverage with your meal, there is no extra fee! Paul Gauguin Cruises maximize the love by assisting you in traveling to a lush tropical wonderland with your favorite person. By facilitating spontaneous romance through intimate dining and suites with unmatched service, this cruise is easily one of the best cruises for couples! Azamara Club Cruises is one of the best cruises for couples, and really it's no surprise why. The intimate ships have an adult atmosphere that ensures the crazy kids next door won't interrupt your beauty sleep. The destination focus of the cruise line is a compliment to the already ample activities on board. Of the 46 suites available, the best are the Ocean Suite and the World Owner's Suite. These rooms contain king size beds, marble baths, and large balconies. For those in search of some much needed R&R, a spa suite is available. This room comes complete with a soaking tub made of glass, included evening excursions, spa credit, in-room music, and a separate rain shower. If you want to impress your honey, opt for the NIghts in Private Places Package. This affords you the spa deck to yourselves for the night. After your private butler serves the candlelit dinner, float in the thalassotherapy pool or gaze up at the expansive stars. As for your dining needs, the Azamara Club Cruises have you covered. The best restaurants for an intimate setting are the Prime C steakhouse or the Italian Aqualina. Couples also love the wide offering of unique dining experiences. To enumerate, cruise-goers have reported the likes of a jazz brunch, White Night dinner, and a barbecue. Azamara Club Cruises is one of the best cruises for couples on the market! Couples love the adult ambiance and incredible opportunities to enjoy romantic moments together. Stellar service, elegant suites, and exquisite dining combine to make Azamara one of the best cruises for couples. Norwegian Cruise lines has quite a few vessels in its line-up. However, the Norwegian Jewel is one of the best cruises for couples in need of a getaway. Although not as intimate as some of the other ships on our list, the Norwegian Jewel stands out for its unique approach to the cruise experience. To give your significant other a taste of the finer things in life, we recommend the Haven Suite. This is the most romantic, most secluded (and therefore, the most quiet), area of this ship. In fact, these suites are only accessible via a private access area. Once inside, couples find that they are welcomed to a VIP-only lunch and breakfast and may lounge by the exclusive pool area. The suites themselves feature separate living and sleeping areas, flat screen TVs, whirlpool tubs (some with a large window above them), and even a butler. When you aren't in your suite, perhaps you and the love of your life will want to try some of the other activities aboard. For the health-buffs, a fitness center is available for recreational activities and exercise. Yet for those with relaxation in mind, the spa is the perfect place to unwind. Regardless of your style, the Norwegian Jewel is willing and able to accommodate you. We know recreation and relaxation are super difficult though, so you may want to re-energize yourself after the fitness center and spa. The Norwegian Jewel offers diners a 'freestyle dining experience.' To enumerate, this means that there are no set times for meals or assigned seats. For the best food, Cagney's steakhouse and Le Bistro are two sensational options to appease your pallet. Afterwards, head to Bar City to enjoy the magical offering of adult beverages. Despite a seeming lack of intimacy aboard the vessel, the Norwegian Jewel still offers couples the romance and escape from monotony for which they've been longing. With its elegant suites, butler service, and freestyle dining, the Norwegian Jewel is one of the best cruises for couples and a breath of fresh air in the cruise industry. The SeaDream Yacht Club is a dream come true and one of the best cruises for couples all in one! These 112- passenger yachts are best suited for those who want luxury and romance rolled into an unpretentious, more casual atmosphere. Yes, it can be done! Of the four available staterooms, we recommend the Owner's suite for optimum intimacy and bonding. These rooms have a windowed bathroom, however, each cabin is complete with fine linens, flat screen TVS, a stocked mini bar, and a cloud-like mattress. Unfortunately, none of the cabins has a balcony, however for what it lacks in views, the SeaDream makes up for in amenities. If you and your honey want a change of scenery from your lodging accomodations, there are quite a few secluded and romantic spots aboard the vessel. For instance, the top deck contains several Balinese beds around the smokestack. These are built slightly above the ship's deck railing to give the apearance that you are floating on water. For a one-of-a-kind sleep experience, the beds can be reserved for a night under the stars. Upon waking, you will likely want to break your fast with something tasty. The Main Dining Salon offers tasty food with a small, houtique ambiance. Otherwise, the Topside Restaurant is an outdoor eatery, with shade, and plenty of private nooks that affords couples an intimate one-on-one date. To finish off your day, head to the Top of the Yacht Bar for drinks and live music. 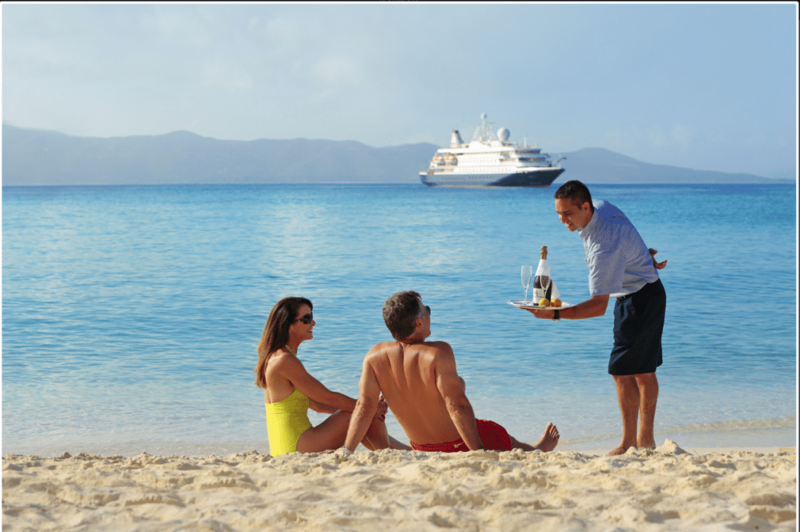 It's clear to see why the SeaDream Yacht Club is one of the best cruises for couples. The comfortable cabins, stellar service, and all-inclusive fares (including tips and most drinks) demonstrate to your partner that they are worth every penny! Viking Ocean Cruises knows how to get the party started. That isn't to say your whole trip is going to be a raucous affair though. 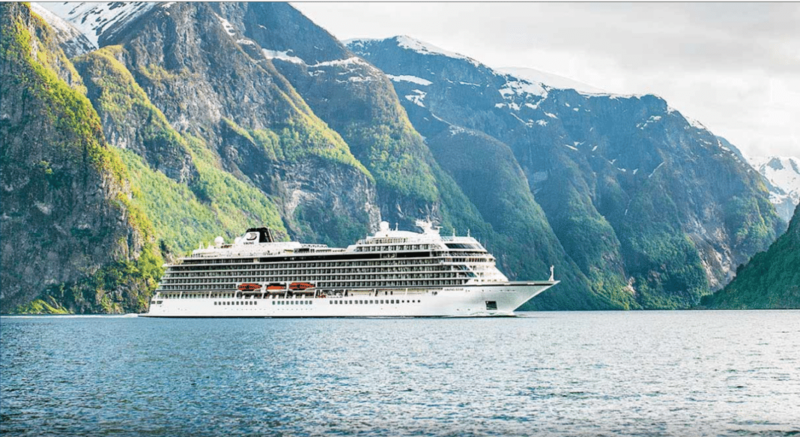 In fact, we love Viking Ocean Cruises for its excellent balance of relaxation and action, all the while fostering the feelings of intimacy for which couples yearn. The suites aboard this vessel are quite sweet! Each cabin has a balcony, meaning that regardless of which lodging accommodation you spring for, you are guaranteed scenic views and a sunrise greeting each morning. Furthermore, even the most basic of rooms has a plethora of electrical outlets and heated floors. If you're in the mood to splurge, 14 explorer suites make themselves available, in addition to amenities such as sweeping verandas, separate living and sleeping areas, and soaking tubs in the bathroom. To truly impress your beau though, open your wallet a bit wider for the Owner's Suite which has a private sauna, dining area, we bar, and living room with a stereo. With such great rooms you may be contemplating never leaving, but the rest of the boat is just as exciting! Beautiful sundecks, a Nordic-inspired spa, an all-weather main pool with retractable room, and an aft infinity pool are only a few of the great places to relax. At night, swing by Torshavn to boogie down or even watch a cabaret show. Once you've worked up an appetite, Manfredi's serves Italian food that is as unparalleled as it comes aboard a cruise ship. Daily specials and rich desserts make this a couple favorite. For a more casual dining experience though, the World Cafe Buffet and Mamsen's are great options. The destination focus of Viking Ocean Cruises lends itself to some serious fun. Adventuresome itineraries, great nightlife, overnight stays in port, and shore excursions make this one of the best cruises for couples. The best part though? -- No children under 16 are allowed, guaranteeing you the peace and quiet you need from an adult atmosphere. Viking Ocean Cruises strikes the best balance of fun, relaxation, and romance. Ever wondered what it would be like to treat your husband or wife to everything the 'Most Luxurious Ship Ever Built' has to offer? If so, you're in luck! The Regent Seven Seas Cruises offers the chance to bask in luxury and world-class service. Thereby, this is easily one of the best cruises for couples! One of the best things about the Regent Seven Seas Cruise is that all lodging accomodations are suites and they all (you read that right) come with a balcony. As great as this aspect is, there is quite a bit of customization available in your choice of suites. For instance, there are suites starting at approximately 200 square feet ranging all the way up to 3,000 square feet. In the latter of the options, couples will find a $90,000 horse hair mattress complete with $60,000 linens. The in-cabin spa is perfect for those in need of pampering. Couples also love that this suite features a 958 square foot balcony with a hot tub. 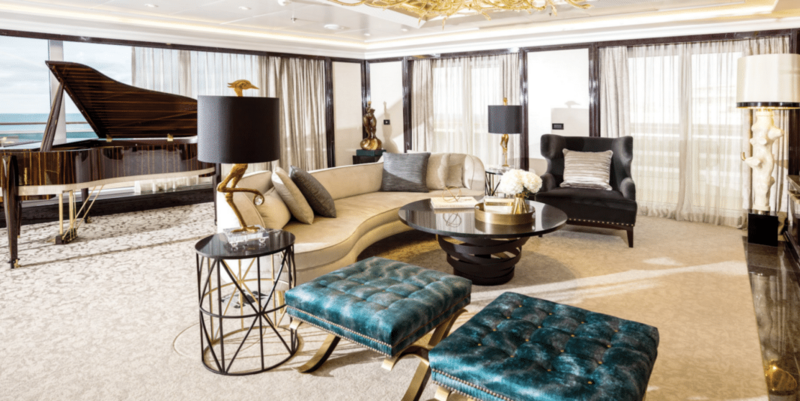 Although you will likely never want to leave the luxurious suites, there is plenty else to do aboard the vessel. A spa, gym, and back-of-the-ship infinity pool are all available to guests for use. In addition, those searching for something a bit different activity wise will love the Observation Lounge's 180 degree views, cocktails, and live music. On the other hand, if you and your honey love cooking together, the Culinary Arts Kitchen offers cooking classes. As far as food goes, the Regent Seven Seas Cruise is a delicious occasion to try tasty treats. The Compass Rose is the main dining room and has ample 2-seat tables for couples in need of intimate eating. Other specialty restaurant options include the pan-Asian Pacific Rim, French Cartreuse, and the Prime 7 steakhouse. Be advised that most of the specialty restaurants require reservations. Personal service, mouth-watering delicacies, and all-inclusive fares make the Regent Seven Seas Cruises one of the best cruises for couples. Although the fares are higher due to the luxury aspect, the all-inclusive nature balances your wallet out a bit. Even still, your lady will be highly impressed when you book this cruise! No matter where you are headed or your mode of transportation, we've got something for everyone. If you have suggestions for future content you would like to see on our site, please leave a comment! Keep your significant other happy and relaxed with one of the best cruises for couples. With the wide range of available destinations, suite options, dining, and activities, there is a cruise to meet each couple's unique wants, needs, and personalities. From relaxation to action, a cruise accommodates your need for a getaway while also facilitating the ambiance needed to enjoy romantic moments with your loved one. Let us know about your Valentine's Day cruise plans in the comments!